voestalpine regards innovation as a strategic driver of growth, making it a key factor in the success of the Group. As a result of the intensive research and development work undertaken in the past 15 years, voestalpine has developed from a traditional steel manufacturer to become a global leading technology and capital goods group. We want to consistently strengthen this position, and continue to remain at the forefront of developments in new production processes such as additive manufacturing. Additive manufacturing, so-called 3D printing, makes it possible to produce parts such as components with cavities or bionic structures, with completely new shapes and functions, both individually and flexibly, in just a single production step. 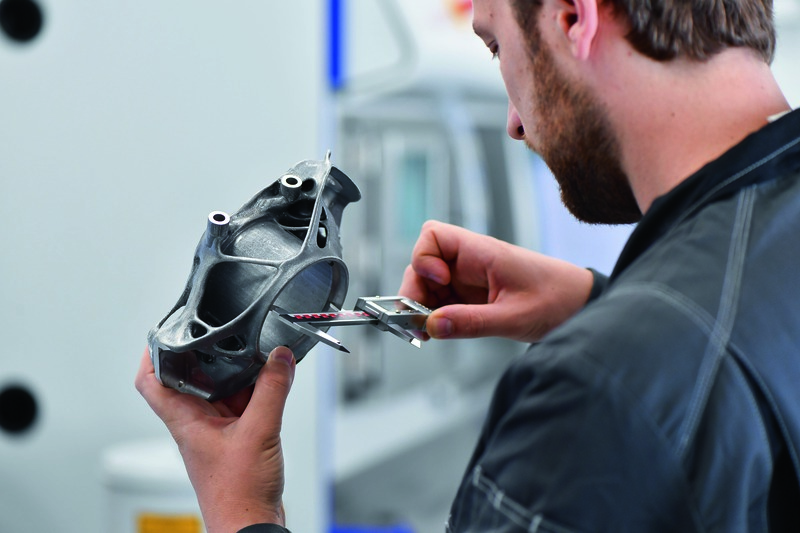 While 3D printing in plastic reached the series production maturity long ago, the far more complex process of producing metallic products using the metal additive manufacturing process is still in its infancy. 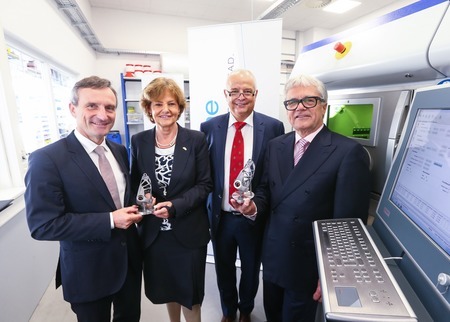 In order to leverage its potential over the long term, the Special Steel Division of the voestalpine Group has founded its own research company at the Düsseldorf site in Germany—the voestalpine Additive Manufacturing Center GmbH. 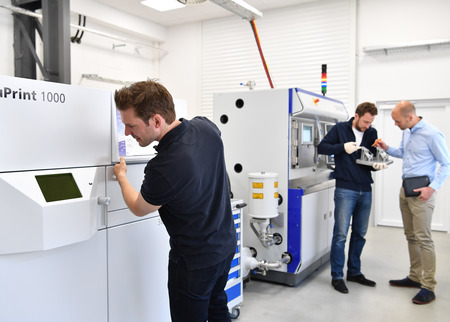 The new development and test center will continue to research and develop both metal powders and the design and production of metal components using 3D printing. It therefore represents a signficant expansion to our existing material production and processing value chain for the most sophisticated industries. Additive manufacturing generally involves synthesizing components, layer by layer, on the basis of a 3D model. In contrast to traditional production processes such as turning and milling from a single block of metal, this method involves no material losses. The raw material for metal additive manufacturing is a metal powder of the required composition, e.g. special steel, tool steel, nickel-based, titanium or cobalt-chromium alloys. For this reason voestalpine is also building up its expertise in producing powder for 3D metal printing, and is investing in special powder atomization facilities at the Group subsidiaries Böhler Edelstahl GmbH & Co KG, Austria, and Uddeholms AB, Sweden. 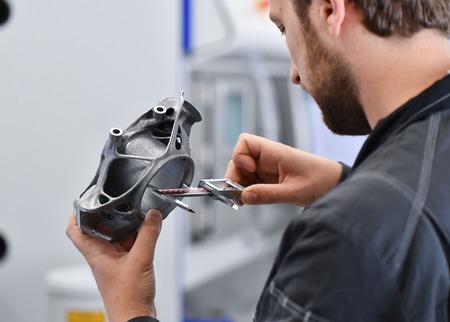 The material produced here will then be turned into finished components by 3D printers at the voestalpine Additive Manufacturing Center in Düsseldorf. 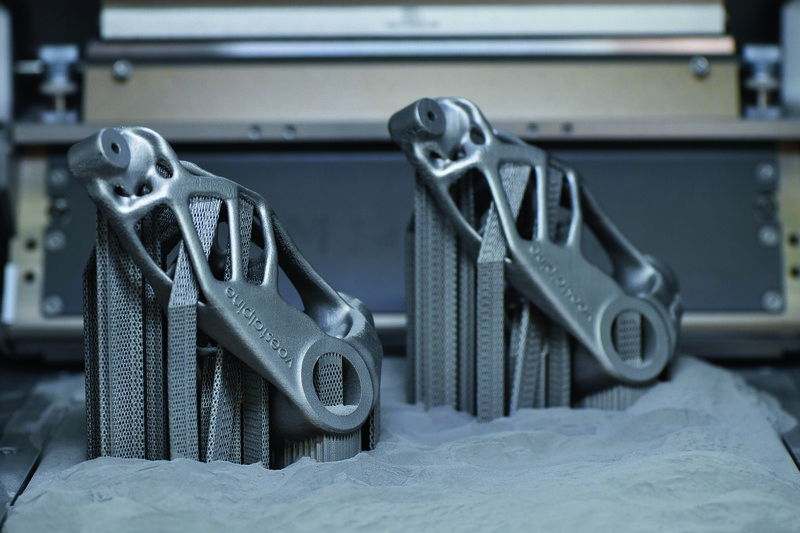 The potential offered by metal additive manufacturing primarily lies in customized production and complex components. In the automotive industry, for example, it can be used to manufacture replacement parts, prototypes, parts for small batches or for motorsports, all more economically than before and precisely where needed. The option of producing new component geometries also makes it an attractive method of manufacturing lightweight aviation and aerospace components. In the field of medical technology, the ability to manufacture customized implants such as hip joints clears the way for new, more efficient, and gentler treatment methods. 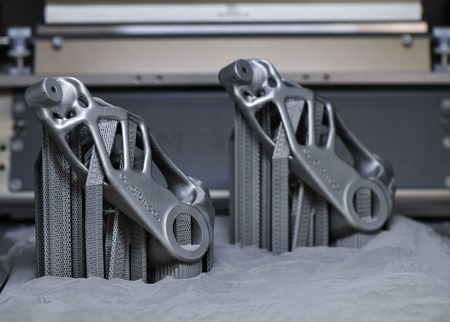 In tool manufacture, 3D printing makes it possible to produce highly complex shapes, for example with integrated cooling and tempering channels. Düsseldorf is one of the key locations of the Special Steel Division in Germany. In addition to the voestalpine Additive Manufacturing Center, such Group’s subsidiaries as voestalpine Edelstahl Deutschland GmbH, voestalpine Edelstahl Wärmebehandlung GmbH, Böhler-Uddeholm Deutschland GmbH, eifeler Werkzeuge GmbH, and eifeler-Vacotec GmbH are also located here. In Düsseldorf the division has access not only to its 3D printing center of excellence and its own eifeler coating plants, but also to Europe’s largest steel logistics department and one of Germany’s largest heat treatment furnaces. During the business year 2015/16 the Special Steel Division with its nearly 750 employees generated total revenue of over EUR 310 million at its site in Düsseldorf. The voestalpine AG’s Special Steel Division is focused on technologically sophisticated materials and customer-specific services. With its unique sales and service network at 160 sites around the world, it offers customers material availability and processing, as well as local points of contact. The division is a global market leader for tool steel and one of the leading providers of high-speed steel, valve steel, and other special steels. The most important customer segments are the automotive industry, oil and natural gas exploration, and the mechanical engineering industry, as well as the consumer goods and aerospace industries. In the business year 2015/16, the division reported revenue of around EUR 2.7 billion, of which 50% was generated outside Europe, and an operating result (EBITDA) of EUR 364 million; it had around 13,500 employees worldwide. In its business segments, voestalpine is a global leading technology and capital goods group with a unique combination of material and processing expertise. voestalpine, which operates globally, has around 500 Group companies and locations in more than 50 countries on all five continents. It has been listed on the Vienna Stock Exchange since 1995. With its top-quality products and system solutions in steel and other metals, the Group is a leading partner to the automotive and consumer goods industries in Europe, and to the oil and gas industries worldwide. voestalpine is also the world market leader in turnout technology, special rails, tool steel, and special sections. In the business year 2015/16, the Group generated revenue of EUR 11.1 billion, with an operating result (EBITDA) of EUR 1.6 billion; it has 48,500 employees worldwide, who are collectively a major shareholder in the company with a stake of 14.5 percent.